Okay, so do you remember when I posted a little while back about how it is my Bee month in my VIBee Group?? 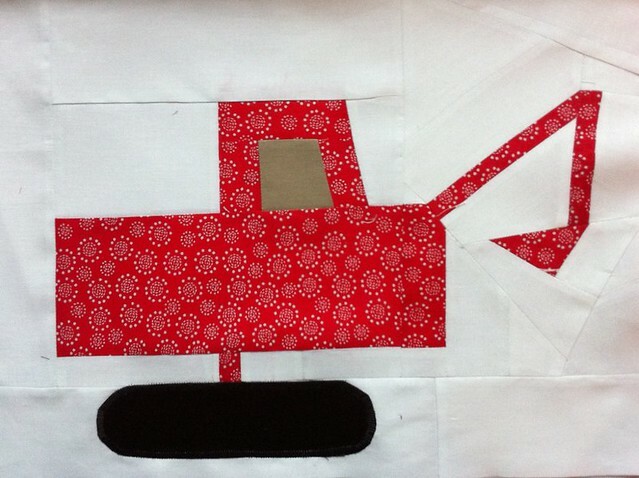 And remember how I said I was doing a cute "Going Places" quilt for my son's bed?? Well, I am getting more and more excited about it with each new block that is done!!!! And of course, I just had to show you!!! This block is by Corey at Little Miss Shabby. Oh my goodness, so super cute!!! This block is by Angela at Cut To Pieces. I just love the stitching she added!!! This block is by Lynne at Lily's Quilts. 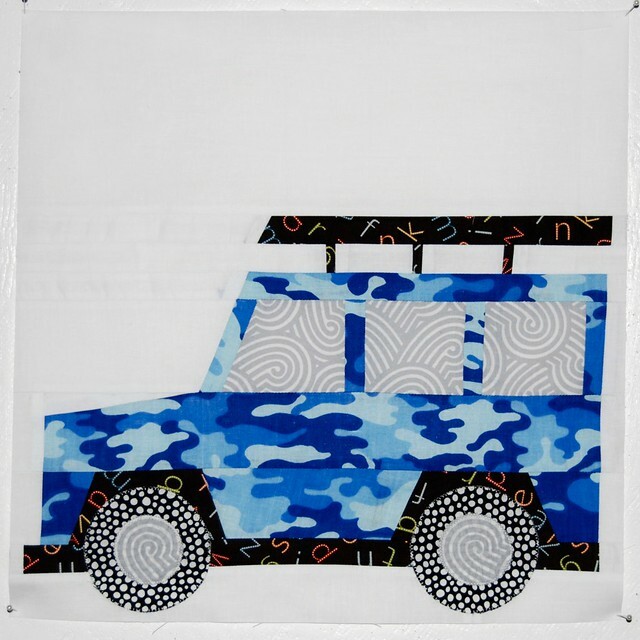 And yes, that is a Land Rover in Camo!! Isn't it cool!!!! This block is by Katie at Katie's Korner. My son freaked out about this!! He loves construction!! OH Melissa no wonder you are so excited about all those gorgeous blocks the ladies in your bee have made. I bet your son can't wait till you put them all together into his quilt. 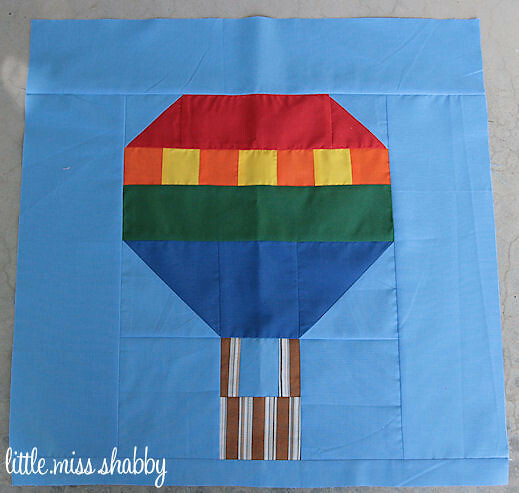 Wow, I'd seen the hot air balloon and land rover but the other blocks are just as wonderful! Lucky boy! Wow! These are all so impressive! They are fabulous! My fabric still hasn't arrived, tho. Sad face. Oh my goodness, that quilt is going to be AMAZING! That's going to be one cute quilt! What terrific blocks! I love them all. 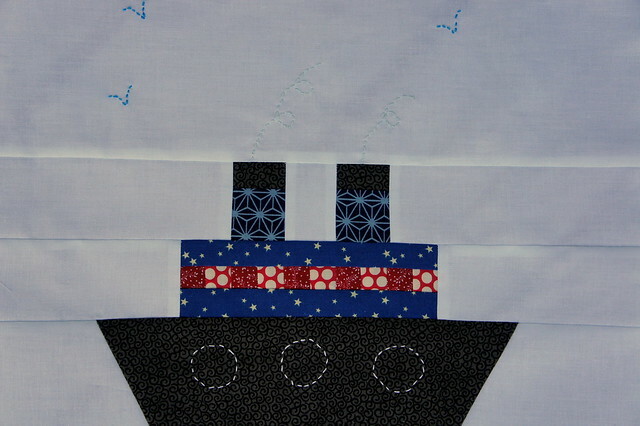 The quilt will be really cute! Super cute! This is going to be such a darling quilt. Keep sharing! !